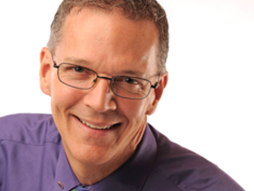 In this episode Jim Smith, Executive Coach, Change Consultant, And Lover of Dark Chocolate shares How To Become an Unstoppable Force for Personal Transformation! After the tip, we go backstage where Jim shares, Living his own advice at home, Why he worships the forces of darkness, How to build a confident body and more! My name is Jim Smith, the Executive Happiness Coach. Today, I’m going to be sharing with you how to become an unstoppable force for personal transformation. The first step on a personal transformation journey is awareness. You have to start with where you are, becoming aware of how you’re showing up in the world, what it is that’s getting in your way, what it is you want to change. You have to create clarity around that. You also have to have awareness around where you’re going. What do you want to be different in your life, or in your leadership, or in your presence, or what habit do you want to shift to? You’d be surprised at the large percentage of people I encounter who show up with not goals. We work to create a clear vision of where they want to be. The second step in the process is exploration. Once you know where you’re going, now let’s step back and look at possible routes to get there. What are some personal habits, behavior shifts, thinking patterns, or even the way you walk, talk, sit, stand and breathe that you would like to be different? What are some new approaches you might experiment with? After exploring the full range of options, the next step is to design what it is you’re going to do. To move from all the possibilities converging down to selection of a habit, a shift, a change that you’re going to commit to do that will move you along on your journey. Finally, if you don’t put anything into practice, you’re never going to move. The last stage of my process I call practice times three. Practice, practice, practice. This part of your journey is about stepping into the discomfort of something new, something you haven’t done before. In order to make it a new habit, you have to lay down new synapses, new neuronal connections in your brain. The only way you can do that is by repeating the new thing over and over again 100 times until it becomes not uncomfortable and then 1,000 times until it becomes autopilot for you. That’s how you become a force for unstoppable personal transformation. Jim Smith is The Executive Happiness Coach®, a global provider of executive coaching, and personal and workplace transformation services. His passion is to create a Happier world and workplace, one Leader at a time. Click here to find out more about Jim Smith.